Windows Privacy Dashboard (WPD) is a privacy-enhancing application for Microsoft Windows operating systems. The app supports all supported versions of Windows on the client and server side including Enterprise and Education editions. WPD was updated recently to support the Windows 10 October 2018 Update; reason enough to take another look at the free tiny program for Windows. The review is based on WPD 1.2.938 released on October 9, 2018. Tip: check out our overview of Windows 10 privacy tools here. The application supports three core features: manage privacy settings, block Windows telemetry IP addresses in the firewall, and uninstall Windows Store applications. You can run the program right after the download provided that the system supports the Microsoft .NET Framework 4.0. All recent versions of Windows support the framework by default. The program displays the three main functions on start. A click on any opens the configuration screen for that particular option. The other options are listed in a sidebar so that you may switch between the main functions quickly. Privacy options are divided into groups such as local group policy, services, scheduler. Each privacy related setting, e.g. 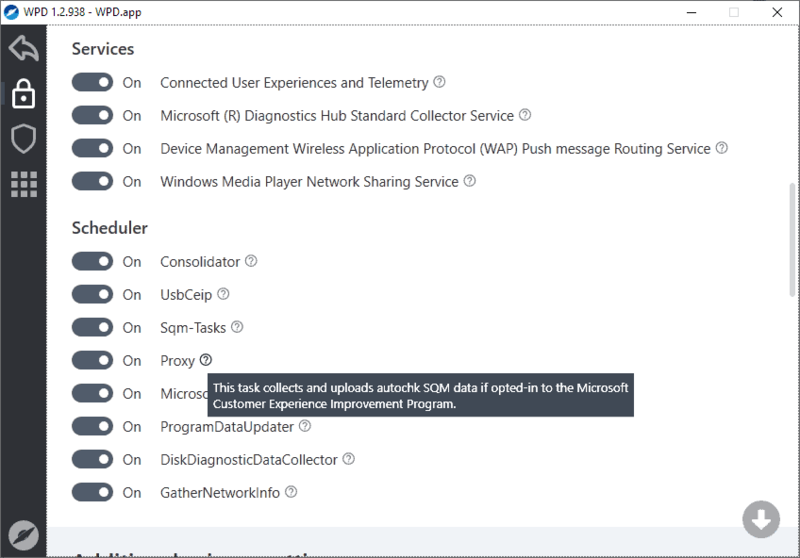 Allow Cortana or Internet Explorer Customer Experience Improvement Program, has a help icon next to it. Hover over the icon and click on it to display a help text that describes what it does. While you may not need to click on the help icon for every privacy setting, you may want to do so for each that you are unsure about. Allow Cortana may be easy enough to understand even without the help text but that may not be the case for "Throttle additional data", "Inventory Collector", or "Proxy". A click on the toggle icon in front of preferences changes the state of the item. The only option to make bulk changes is displayed at the very bottom of the screen. There you may disable all features and include "all additional settings" as well. You find a useful "default" button there as well to reset all settings to their default state. Note that the program does not create a System Restore point or other form of backup. Changes that you make in the program are made on the underlying system right away and the only two options to undo them are to use the toggle icon to turn them on again or use the default button at the bottom to reset them all at once. Lots of new options were added to the program compared to the version of WPD that we reviewed in 2017. Add rules to block Windows Telemetry. 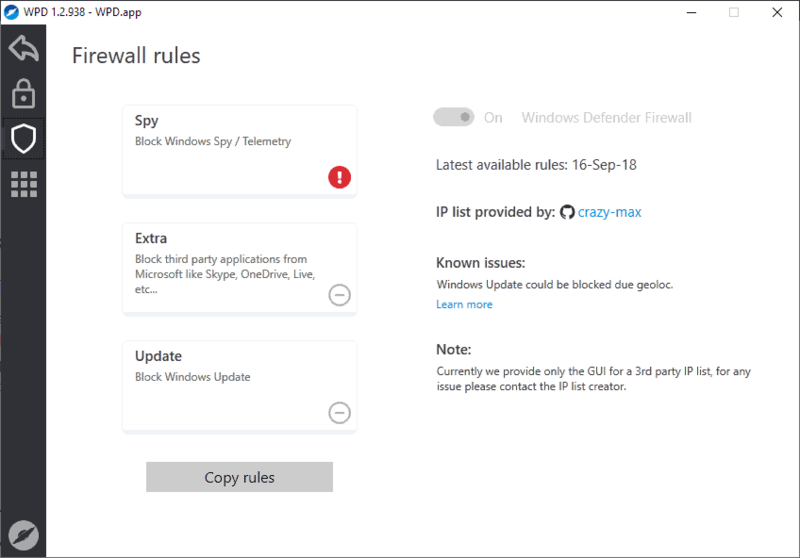 Add firewall rules to block third-party Microsoft applications such as Skype or OneDrive. You can copy the rules and paste them into firewall programs that you use if you don't use Windows Firewall. The list contains a large number of Microsoft IP addresses and is maintained by a third-party. Note that you may break functionality when you block these IP addresses in the firewall. 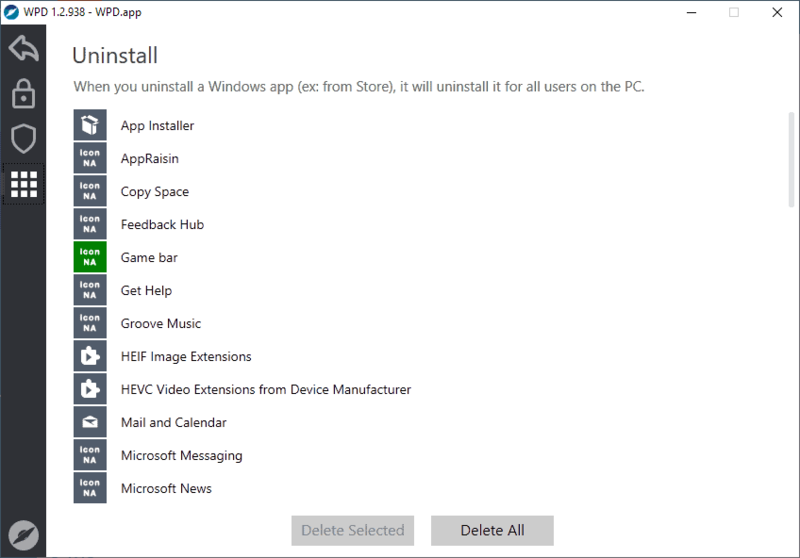 The app uninstaller lists Microsoft Store applications that you may uninstall from the system. Note that it lists the majority of integrated and all user-installed apps including Edge browser extensions. 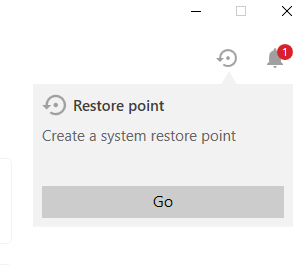 Options to uninstall apps are provided but there is no option to restore the app from within WPD once it has been removed. As far as changes are concerned, there have been plenty. Support for all recent feature update versions of Windows 10. Support for Windows 10 LTSC, Windows 10 Education, and Windows Server Standard 2016 and 2019. Added new privacy settings and options. Fixes for Windows 10 Home editions. WPD is a useful program for Windows users who want better management options for privacy related settings. It is an advanced tool for the most part and users need to be aware that it does not create backups or System Restore points. On the plus side, it is getting frequent updates that fix issues and add support for new feature releases for Windows 10. Now You: Do you use a privacy tool for Windows? 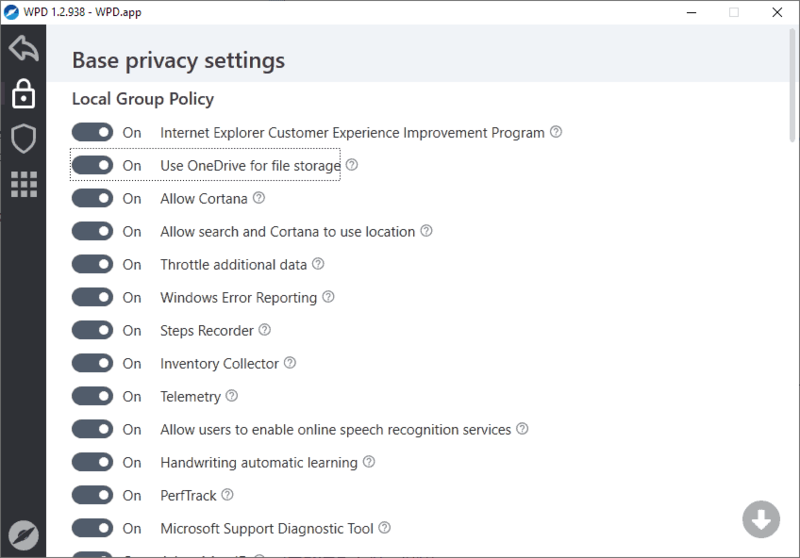 Some of the Windows 10 privacy programs mostly use the Group Policy to apply settings (I believe WPD belongs to this category) while others may use the registry to apply the very same settings. This can lead to some confusion and settings overlap although there should be no problems (at least in theory) for the final result (= the settings should be applied and working fine). Good point, thanks for mentioning that! Except an older version of CCleaner I’m using Fiddler as my only privacy tool for Windows. I thought it was a Windows 10 only application. Serves me right for not reading the 2017 article properly. I’m pretty sure I’ve covered most things already myself, but it’ll be interesting to see if the app identifies any other privacy related issues which I wasn’t aware of. Thanks for the tip Martin. Where can I get this? Searching for the download brings me a list of dubious sites, so I’m looking for a trustworthy source. Another software you can’t block calling home except with firewall. No thanks. It’s “calling home” to check for new, updated rules that will help you prevent Windows from actually “calling home”. Paranoid much? If it update automatically at start with no possibility to block it, so why the option “check for update” on the main window? Ridiculous, no thanks. Since I learned to use GP, firewall, nirsoft’s taskschedulerview and FF’s config settings, utilities are really not needed. This one seems nice with all the stuff you can change in one app. The fewer utilities the better. Worth a try to see if anything’s been missed on my machine and will try it on our Win 10 Home devices. A good test for any of these programs is whether they turn off all nVidia telemetry. taskschedulerview shows many of them active even if the service is switched off. Still cracks me up that people need third party software to protect their privacy from their Windows OS. It is especially funny considering the way Microsoft used to drag Google through the mud over privacy (look up the Scroogled advertising campaign they ran.) Anyway, since Windows is the boss; (it runs on the hardware below any software the user may install), Windows is still free to do as it pleases. For example, overriding the hosts file. This is okay, but bear in mind that *nothing* will turn off spying telemetry via Windows 10’s hard coded (into the kernal itself) IP addresses. You can’t see that data being sent by using a packet sniffer and it will bypass any firewall that you use. Period. What do you mean by this? A packet sniffer can see all the bits being sent and received, even those in the layers below TCP. I’m unaware of any method of “hiding” packets from them — but I’d dearly love to know if any exist! A tech savvy person doesn’t need any of these tools, but if it were to recommend one, it would be ‘WPD’ instead of ‘ShutUp10’ or ‘W10Privacy’. These open source (crowdsourced) tools are ripe with redundant and unwanted tweaks. It would require a very long post to detail some of the problems these two apps (and others like them) could cause, so I’ll just list the few I remember from testing (several months ago). – Half (or more) of the tweaks they offer are already at the user’s disposal via the ‘settings’ app. – They don’t check for “upper” switches (system wide ‘Machine’ settings that would cover their ‘User’ tweaks), thusly creating redundancies..
– They offer tweaks for settings that no longer exist (either for being replaced or relocated (ex: autologger diagtrack listener)). Because of things like these, WPD is by far the most “professional” one, out of the ones i tested. One, if possible, use only one of these tools. Two, if you need to use more than one, keep them around. Don’t dispose of them after tweaking. You might need to troubleshoot some of the issues they create, and like i mentioned, they often disable the same thing in different places (like hklm vs hkcu). only a moron installs win10..end of ! Never use Windows 10 without Simplewall in whitelist mode even if you have used privacy tools. Simplewall in whitelist mode in whitelist mode forces Windows 10 to ask your permission to connect to the internet. Only the apps you allow can access the internet. Do I understand correctly that the firewall rules of crazymax that have been implemented in WPD make my host blocking list of crazymax obsolete? No, George. In crazy-max’s website on GitHub (data folder) you have the firewall rules (the IP’s and IP ranges – the same WPD applies to the Windows Firewall), and you also have the hosts rules, which can be applied by using the Windows hosts file or with the help of 3rd-party programs (not WPD). Both sets of rules (firewall+hosts) are meant to be applied simultaneously. So, use WPD to apply the firewall rules and also use something else to apply the hosts rules. Exactly so is my configuration. Thank you for the factual and helpful answer.